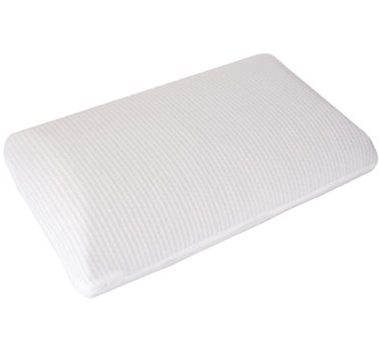 For a noticeably comfier, fresher pillow, get your head on this gel-top bamboo memory foam pillow. A cooling gel-top layer on one side, which provides additional cooling qualities and helps regulate sleep temperatures. The carefully perforated bamboo charcoal memory foam provides a fresh, breathable benefit that improves airflow between you and the pillow. Medium firmness will help retain its shape and adapt to your head size, relieving pressure to ensure a restful night’s sleep. Removable, washable cover (one side mesh) for cooler sleep and plush bamboo softness (on the other side) for additional warmth and comfort. Gel-Top Comfort - Cooling gel-top layer provides exceptional cooling qualities. Bamboo Charcoal Memory Foam - Naturally breathable, hypoallergenic. Removable, Washable Cover - Viscose-from-bamboo cover, wicks moisture, repels odors.